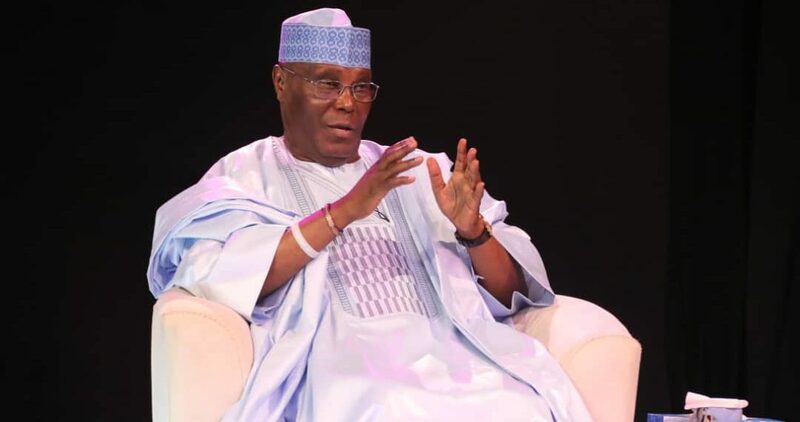 PEOPLEâ€™S Democratic Party (PDP) presidential candidate Alhaji Atiku Abubakar yesterday promised to establish Electoral Fraud Commission to try anyone found infringing on electoral laws. â€œA few years ago, I set up a microfinance bank and I brought in someone from Bangladesh and you know they are the best in the world in that area. I told him I wanted to lift people out of poverty and I want you to dedicate 80 per cent of your loans to women. You know how many persons I was able to lift out of poverty? 45,000,â€ he said. He lamented the dearth of middle class in Nigeria, blaming President Muhammadu Buhariâ€™s administration for the collapsed of the middle class. On farmers/herdersâ€™ clash, he said both of them need to be enlightened on the existing laws. â€œMy wife has not been indicted and she has not been charged. So, there is no way you can hold her accountable. She has been traveling to America very often,â€ he said.